HEN DO IDEAS > GUIDES > WHY CHOOSE MANCHESTER FOR YOUR HEN DO? Why Choose Manchester for Your Hen Do? Manchester is cool and charming. If it were a man, it would already have your digits… The city is bursting with bars and clubs – the original home of live music – friendly locals (not in parkas…), shopping districts to blow the hen party kitty, and activities that are as luxurious as they are lairy. Simply put, Manchester hen weekends are unforgettable. 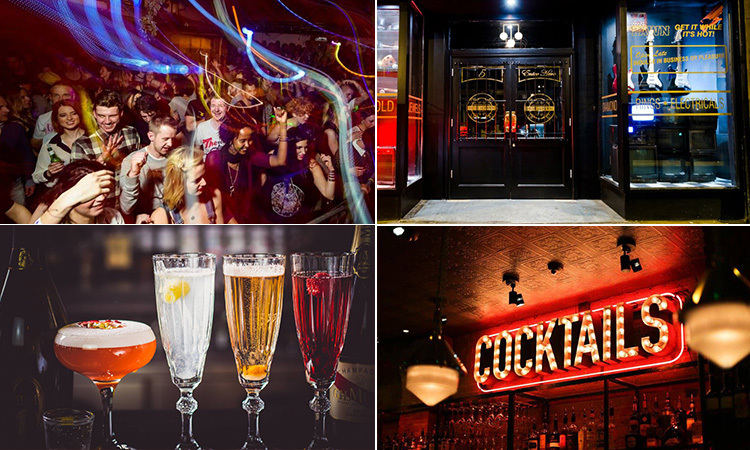 Manchester’s nightlife is unrivalled – one of the biggest, best and loudest in Europe. The city is split into distinct districts, and The Northern Quarter is the most famous. This quirky and eclectic collection of bars and clubs is Manchester’s answer to East London. The bars are illicit and mysterious, often tucked away behind unassuming doors – one, Dusk Til Pawn, with the exterior of a pawn shop. There’s a trend in The Northern Quarter for speakeasy-style cocktail dens, serving classic cocktails in cut glassware to a backdrop of 20s style interior, but you’ve also got the music clubs that gave Manchester its legendary reputation. Deansgate is the city’s trendiest area, where the heels and LBDs come into play. 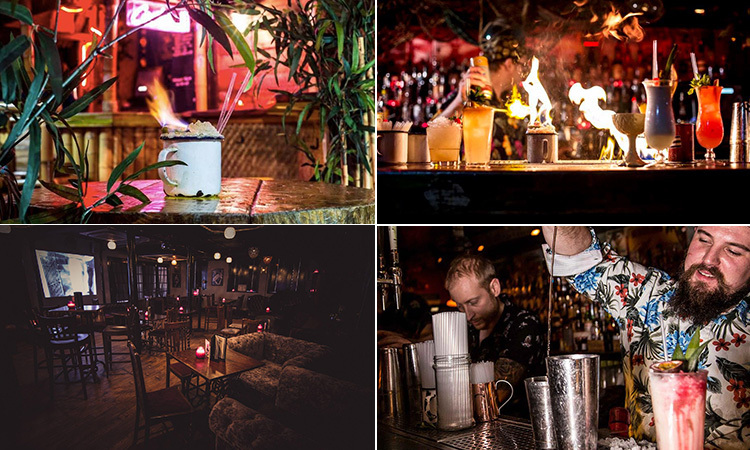 It’s a cacophony of Tiki-style venues, cocktail lounges, wine bars and huge clubs, as well as the winner of Manchester’s Best Bar at the Eat, Drink, Sleep awards. Just a mile away (or a short taxi in heels), Deansgate Locks sits pretty in the city’s historic railway arches. This drinking district truly comes into its own during the summer, as the bars spill out onto the gorgeous terraces overlooking the ‘Locks’. Similarly, Spinningfields – the ‘Canary Wharf of London’ – is brimming with luxury, including those all-important cocktail bars. The masters of mixology, The Alchemist, even call this area home. Close by, you’ve got Canal Street – Manchester’s LGBT scene and host of the massive Manchester Pride. The colourful street gets louder as the hours pass, boasting jaw-dropping drag acts and classic karaoke. Last but certainly not least, there’s the Printworks and Millennium Quarter. This gigantic area covers all bases of a hen weekend – the ever lively Bierkeller, glamorousTiger Tiger and Vegas-inspired The Birdcage all open their doors to thousands each weekend. The self-proclaimed ‘capital of the north’ has the shopping to match. Rivalling the likes of London, Manchester boasts the famous Arndale Centre – the city’s huge indoor shopping mall, and hen weekend heaven. It has over 200 high street stores, with entrances covering Market Street, Piccadilly Gardens, Cross Street and St Anne’s Square. However, you’ve also got the actual high street just outside, as well as Selfridges and Harvey Nichols (we’ve lost you already…). We’re not forgetting the Trafford Centre, set on the outskirts of the city and attracting hundreds of thousands from far and wide. You, quite literally, will shop ‘til you drop (or until the hangover kicks in). Manchester is also a mecca for vintage clothing, and none more so than The Northern Quarter. The network of streets is home to the city’s most alternative thrift stores, where it’s even possible to grab a designer bargain. We’ll see you there. Not to boast, but we’ve got over 180 Manchester hen weekend activities. 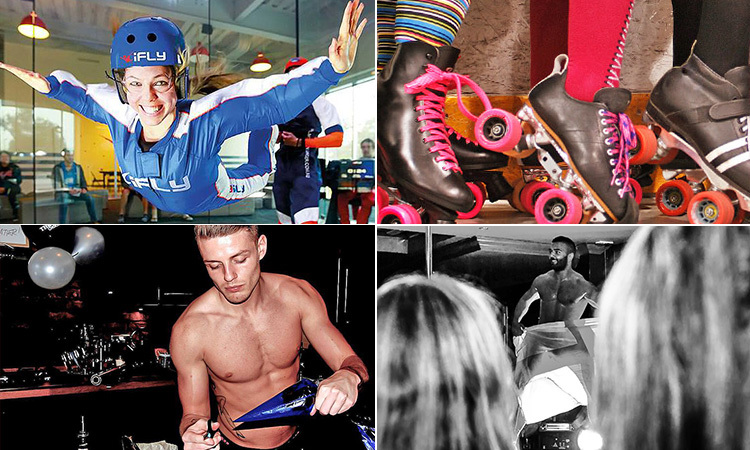 It’s brimming with all-sorts to choose from – such as an 80s style Roller Disco, dance classes, indoor skydiving (seriously), the Adonis Cabaret boys and even a MAC makeover and photoshoot. Of course, it all boils down to one thing… and we’ve got naked men in spades. They’re even covered in chocolate with our naked chocolatier party… We’ll say no more. Manchester is overflowing with accommodation options for your hen weekend. We’ve got fancy, 4-star hotels, swish apartments with actual space to get ready in, and many cheaper alternatives as a perfect base for exploring the city. However, you probably won’t spend much time in your room - until the morning after. Manchester is laden with chic cocktail bars in almost every nightlife district. 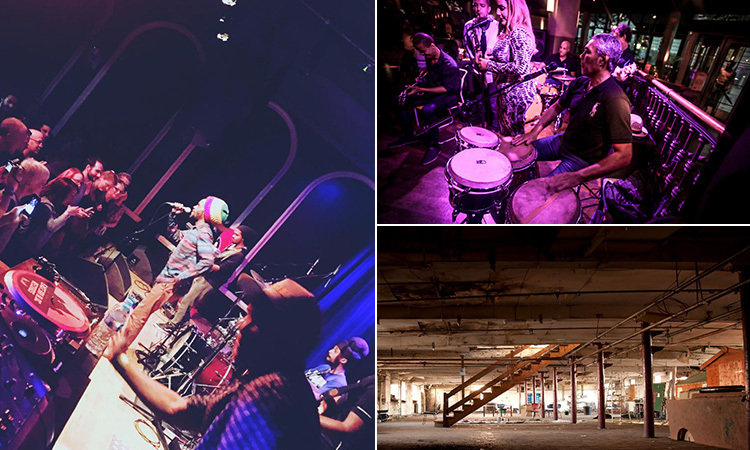 The Northern Quarter is brimming with speakeasy venues, Deansgate Locks has cocktail dens hidden in the railway arches and Spinningfields has a stunning bar you enter through a glass pyramid. We’re not ones to brag, but we’re firmly at the heart of this trend - with trendy and boozy hen party cocktail workshops in Manchester’s best bars. Get exotic with a tropical Tiki cocktail class at The Liar’s Club, or travel back in time to the cool 50s and dazzling 20s during themed Moulin Rouge and Great Gatsby workshops at The Fitzgerald. You’ve also got hen party classes at Ark and the classic Revolution, as well as Black Dog Ballroom. Manchester is full of festive spirit every Yuletide – it’s like a Home Alone film (without the neglected children). 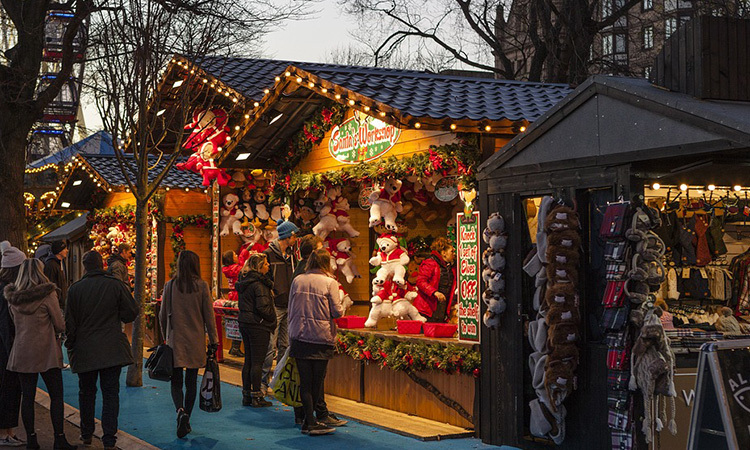 The Manchester Christmas Markets are one of the largest in the UK, lasting for five magical weeks. The Queen of the North transforms into the North Pole, featuring Santa and his reindeers and, more importantly, international mulled wines. The spectacular stalls line the streets – from the Corn Exchange, all the way to Albert Square – and offer mouthwatering food, such as Dutch pancakes, German grub and French profiteroles, to soak up all that booze on your hen weekend – as well as gifts, clothes and jewellery. Manchester nights are unlike anything ever experience before, and your hen do deserves only the very best... so get on our Manchester hen weekends page, choose from our huge selection of activities and accommodation and get ready for the night of your life. > Why Choose Manchester for Your Hen Do?